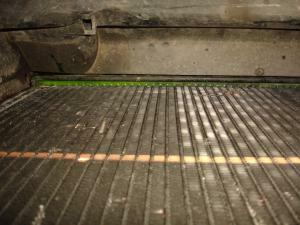 Engine Cooling – What is the big deal? Most modern engines are designed to run as hot as possible without reaching the critical limit where structural degradation of the engine castings will start to occur. 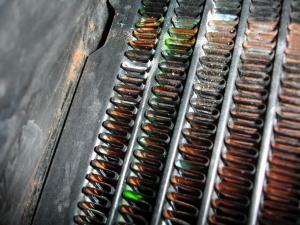 To stop the engine overheating a cooling system is used, this can either be air or liquid. Air cooling depends on ambient air flowing over and away from the engine. Liquid cooling uses an enclosed pressurised coolant system consisting of several components along with pipes and hoses. 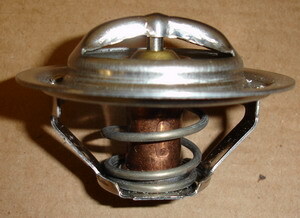 All the components in the cooling system must work efficiently and without leaking otherwise problems will occur. This small inexpensive component allows the engine to heat up as quickly as possible after starting, then keeps the engine at a near constant temperature by controlling the coolant flow around the engine and through the radiator. If for some reason the Thermostat doesn’t operate correctly, coolant may not get to the radiator resulting in super heated liquid and an engine to match. The radiator is a simple heat exchanger that transfers heat from the coolant to the ambient air. 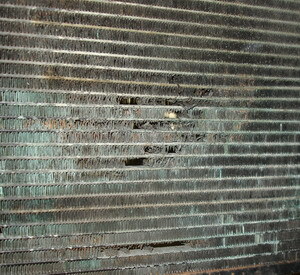 Here you can see a Radiator with major damage caused by corrosion of the cooling vanes in the radiator core. The efficiency of this radiator was dramatically reduced and resulted in an engine that ran at an elevated temperatures for quite a time before it eventually expired. To assist the flow of coolant around the system a Water Pump is used, in this example you can see that the pump is driven by the timing belt. 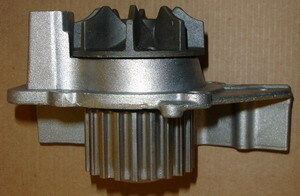 Any play in the bearings or damage to the impellers can cause poor coolant flow around the system. 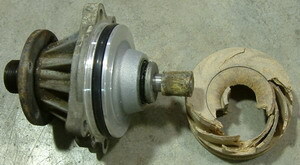 In this example the impellor has disintegrated on a BMW Water Pump. expansion tank. 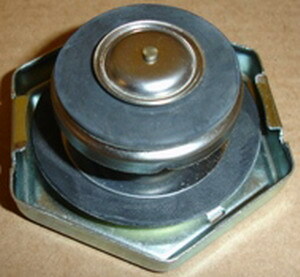 The relief valves also double as the system replenishment point cap. 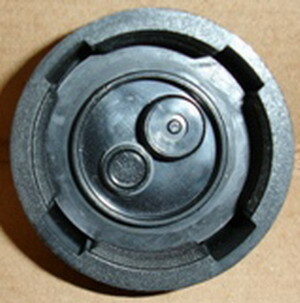 On the left is a radiator cap and on the right an expansion tank cap, if these caps allow pressure to ‘blow off’ too early coolant loss will occur along with a subsequent engine overheat. On the left you can see evidence of a coolant leak in the area of a Range Rover radiator and on the right the photo shows the source of the coolant. After a journey of several hours the vehicle lost most of the system coolant resulting in a second ‘cooked engine’ within a matter of weeks.